Dr. Claude Biava is a pathologist based in San Francisco, California. He graduated from the medical school of the Catholic University of Louvain. Dr. Biava is a board-certified pathologist. He has also been involved in the research field where he contributed to two published studies that covered the following topics: mesangial deposits in membranous glomerulonephritis and the recurrence of focal glomerulosclerosis and cyclosporine’s inability to completely prevent it. 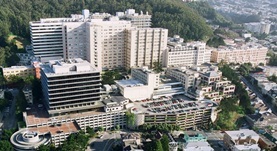 At the moment, Dr. Biava practices medicine at the UCSF Medical Center. Dr. Claude Biava has contributed to 2 publications. Mesangial deposits (by electron microscopy) in idiopathic membranous glomerulonephritis. Shearn, M. A., Biava, C., Hopper, J.; N Engl J Med. 1979 Jul 26. Inability of cyclosporine to completely prevent the recurrence of focal glomerulosclerosis after kidney transplantation. Vincenti, F., Biava, C., Tomlanovitch, S., Amend, W. J., Garovoy, M., Melzer, J., Feduska, N., Salvatierra, O.; Transplantation. 1989 Apr.